The history of rum strongly suggests that our little island Barbados is the birthplace of rum. When we discovered that a byproduct of our sugar industry – molasses – could be fermented into alcohol, distilled and served to powerful effect, it marked the start of the Rum era. Rum distinguishes itself from other spirits by the plant from which it is made. It is distilled from the fermented juice of sugar cane, sugar cane syrup, sugar cane molasses or sugar cane byproducts. While it's documented that the island's first commercial sugar cane crop was planted in 1640, settlers had been harvesting small crops to create a popular beverage called 'Kill-Devil' an early ancestor of modern-day rum. Crude distillation methods resulted in a poor-quality spirit; it was not until over a century later that Barbados would produce rum on a commercial level. The history of rum strongly suggests it was on our little island, when we discovered that a byproduct of our sugar industry – molasses – could be fermented into alcohol, distilled and served to powerful effect. From the Barbados plantation rum of the 1700s to the Barbados rum punch of today, our paradise island is now famous for producing the best rum in the Caribbean. In the nineteenth (19th) century Barbados had just over ten Sugar Factories and sugarcane was harvested by using thousands of African slaves. Harvested crops where brought to the plantations’ grinding windmills. Windmills were abundant back then and utiised wind power to extract the valuable sugar cane juices. Many windmills are still dotted around the island today with the most famous being the Morgan Lewis Windmill. Sugar was then dispatched to Britain to be refined together with molasses and rum. The sugar industry in Barbados has evolved over the years as it has since become fully mechanical with the latest in technology. Lastly, why is Barbadian Sugar so good? Barbados' island temperate, beautiful sunshine and cooling rains have been pivotal in creating the perfect conditions for growing sugar cane since the 1600s. The soil of Barbados also has a special ingredient: high alkaline levels which bring a distinctive combination of minerals and nutrients that help to define the aromatic taste of our sugar. 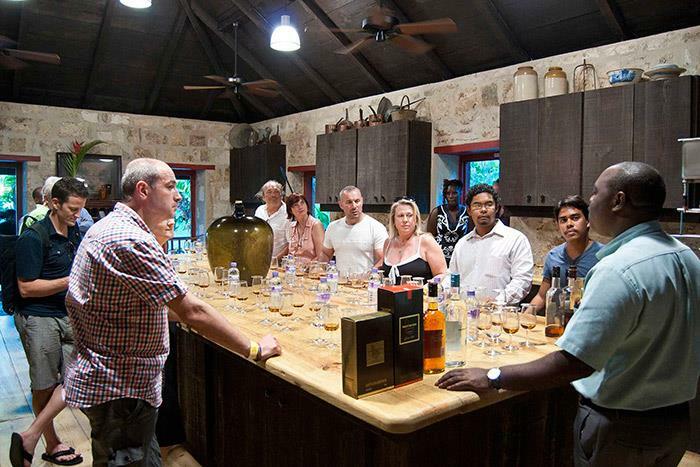 Make sure to put a Barbados rum tour on your list of travel experiences and discover the fine art of Barbados rum making. A visit to one of our well-run rum distilleries will leave you wiser about the best rum in the world… and perhaps also a little intoxicated. You can choose to visit any of our fascinating distilleries including the Mount Gay Rum Distillery, St Nicholas Abbey Distillery, Foursquare Rum Factory & Heritage Park, and the West Indies Rum Distillery. 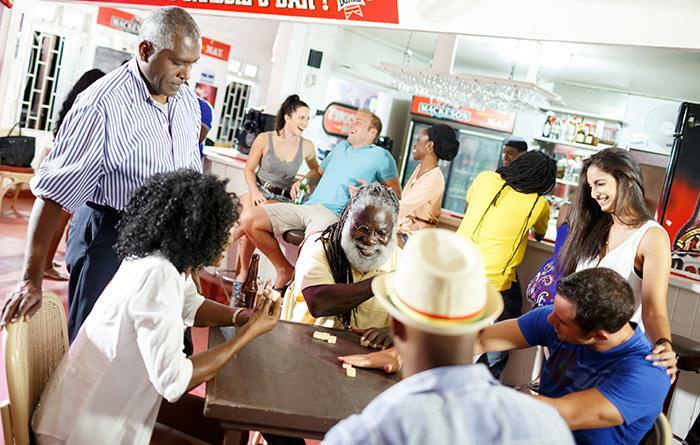 And remember to share the experience by taking home a sample of our popular high-quality Barbados rum brands including Mount Gay Rum Extra Old, St Nicholas Abbey Rum, Foursquare Spiced Rum, Doorly’s, Rum Sixty Six, Cockspur and Malibu. Stop at a Rum Shop. Experience Rum like a Local! There’s a rum shop on every corner of our 166 square miles. No one’s counted but there must be close to 1,500 rum shops scattered across our towns, villages, hills and fields, many with a church immediately next door. On the shelves behind the bar, you’re likely to see a full range of high quality rums, so why not taste a few? Ask for your Barbados rum to be served neat or on the rocks (over ice). If you prefer a little sweetness, mix it with a coke or order our world-famous Bajan rum punch – every establishment serves a rum punch and soon you’ll notice the subtle variation in flavours, as each mix seems to have its own particular character. Need some food to accompany the alcohol? You may find your rum shop serves simple meals, such as flying fish cutters or a ham or cheese cutter (a sandwich in a Bajan saltbread). Don’t hesitate to ask for what you need; we love to welcome visitors into our unique world.